This is the first time that we have seen a host of black holes that are all aligned. 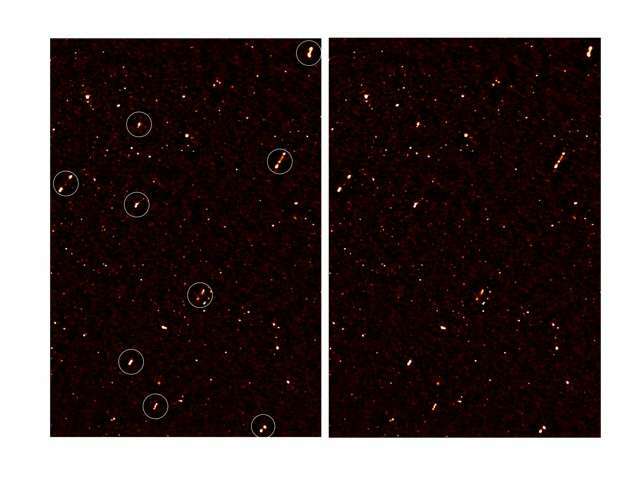 Researchers in South Africa have discovered something “bizarre” in our galaxy: A region of the distant universe where supermassive black holes are all spinning out radio jets in the same direction. Most likely, this is the result of primordial mass fluctuations in the early universe. That said, this is the first time an alignment of the jets of galaxies over a large volume of space has been seen. The discovery was made possible by a three-year, deep radio imaging survey of the radio waves coming from a region called ELAIS-N1 using the Giant Metrewave Radio Telescope (GMRT). The jets are produced by the supermassive black holes at the centres of these galaxies, and the only way for this alignment to exist is if supermassive black holes are all spinning in the same direction, says Prof Andrew Russ Taylor, joint UWC/UCT SKA Chair, and principal author of the study. This type of alignment has never been predicted by theories – and an unknown phenomenon like this presents a challenge: How exactly does this discovery fit into our early theories of the universe?